Stretcher bars are one of the key components of all canvas prints - they form a frame that retains the shape of the canvas by stretching and smoothing it to its maximum width and height possible, enabling you to display your photography at its very best. It is, however, important to recognise that not all stretcher bars on the market are of the same quality, and quality really does matter when you are looking for your canvases to last a lifetime. Why use FSC Stretcher Bars? 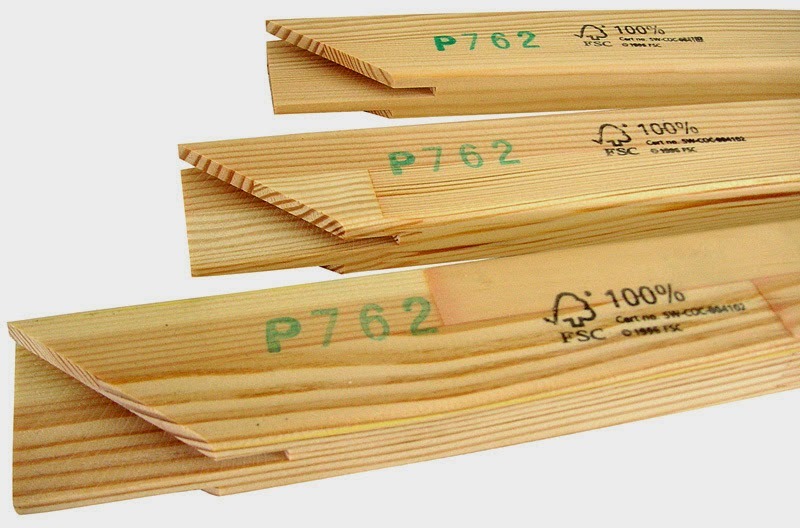 At Canvas Printmaker, we make the choice to only use FSC certified stretcher bars. Although there are cheaper products on the market, the full costs of not using FSC certified wood are more than just economic. The FSC (Forest Stewardship Council) logo ensures that your stretcher bars are not harvested from timber sources that are ecologically damaging to the environment. The FSC take a long term view to forestry management by replanting the trees that have been used. They reinvest rather than profiteering from local communities and the global environment. With this in mind it’s important to understand that some cheaper stretcher bars are not from sustainable forests which are damaging the environment. All wooden stretcher bars and canvases “breath” as they expand and contract over time depending on heat and cold. By adjusting wooden wedges in the corners of the stretcher bar frame you can re-tension the canvas allowing it to become taught (it should feel and sound like a drum). Over time these may need tightening by lightly tapping the wedges in with a hammer. However this is only possible if you actually use wedges! Many canvas printers don’t with the result being baggy canvases years down the line without any means of adjusting them. Freshly cut wood (or green wood) is full of moisture which dries out over time and it’s the drying process that warps the wood. As a result wooden stretcher bars made from green wood will bow and twist over time preventing your canvas print from hanging flush on the wall. It is therefore important to use seasoned wood to reduce the moisture content before it is made into stretcher bars. As seasoned wood takes time and costs more to produce many canvas printers opt for cheaper alternatives including kiln dried wood. Force drying wood quickly is never a good idea as it usually causes more warping in the process as the wood can be perfectly dry on the outside but still be quite moist in the middle. This in turn actually accentuates warping and should be avoided. We have seen many stretcher bar alternatives on the market - most notably MDF. While there is nothing primarily wrong with MDF as a material, using it as “stretcher bars” is not a good idea. MDF has a very low tensile strength which means it will bend out of shape very easily - particularly if you tightly stretch canvas over it. Worse still, should it ever become wet then it will lose all structural integrity and swell in the process.